'Give a girl the right shoes and she can conquer the world' said by the legendary Marilyn Monroe. Earlier this afternoon was the unveiling of Charles & Keith new concept store in Mid Valley Megamall. This is the first new concept store out of the 26 stores in Malaysia. During the launch party, there were an ice cream machine and to all of our surprises, a claw machine filled with Charles & Keith Products! 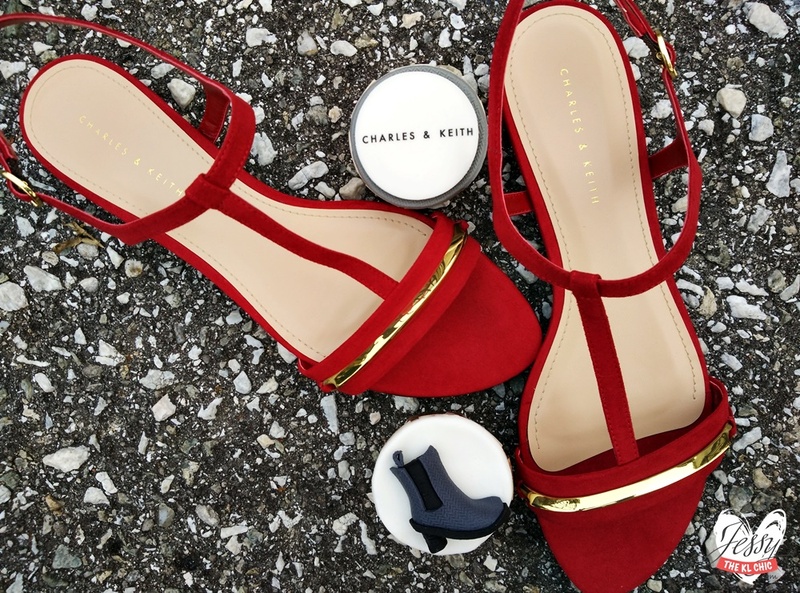 We got to try our luck to grab from Heels, Sandals, Flats or Sunglasses. I love how bright and spacious the new concept store is. Just by walking in the store, I was already enchanted by front array of products. The new store interior is decorated with sleek modern furnishing to create a luxurious ambiance for its customers. It was also a very effortless minimalist tone. Its great that the store separates their products from type to colour. 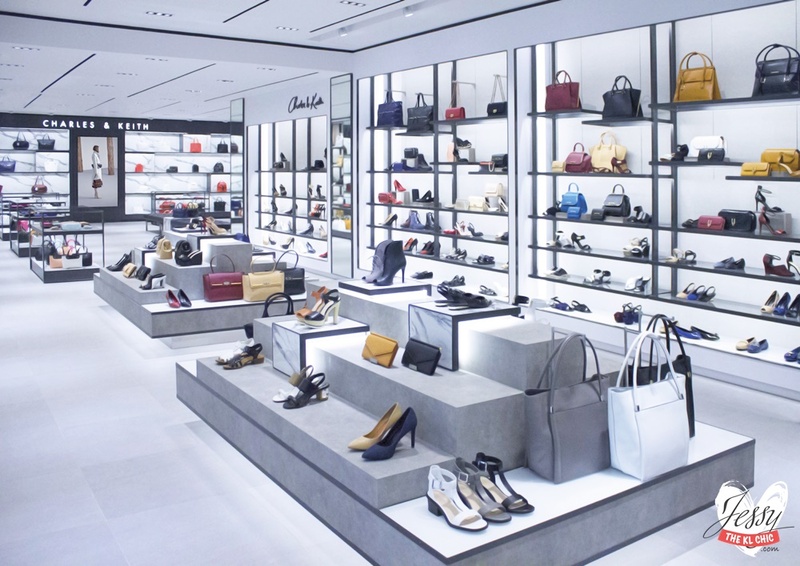 Do expect a wall dedicated to bags, footwear and even accessories. Thank you for the treats Charles & Keith! Plus guess what? Charles & Keith Fall/Winter 2015 collection is now available to purchase. this collection consist of cool and muted colours like tones of black, grey, chalk and brown. Inspired from the idea ' less is more', products that are designed are from laceless oxfords footwear to tassel-fringed bucket bags.